Thursday 20 September at 9.30 a.m. (for a 10 a.m. start) until 1 p.m. at Junction 25, Brighouse. Lunch at 1 p.m.
Edison’s response when challenged as to his ongoing failure to develop a light bulb filament that worked sums up the opportunity and the challenge facing those of us whose endeavours to affect meaningful change meet with repeated setbacks. If Deming thought and practice is such a good thing, why doesn’t everybody do it? Three high profile practitioners, each with lots of experience and an ongoing relationship with the work of W. Edwards Deming, applied across a variety of private, public and voluntary sector organisations, will join us. They’ll tell us how putting Deming thinking into practice hasn’t always worked as well as they’d hoped. What are the typical setbacks, why do they happen and, crucially, in the spirit of Thomas Edison, what lessons can we draw for eventual success? 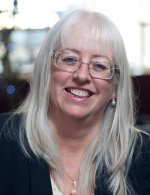 Denise is Director of Hobgate Property Development and Smiles Property. As one of the founding members of NET2 we’re delighted she is back with us again. Her willingness to seek out new knowledge and learning to make business and life better for herself and those around her led Denise in the 1990s to the management teachings of Dr. W.E. Deming. She drew extensively on what she had learned as the Managing Director of two ventures in York. With the help of her husband and team, she transformed York Boat from a small seasonal cruise company, to an award-winning, year-round customer-delighting business employing over 60 people. In 2001, she was awarded an OBE for her work in developing the tourism sector in Yorkshire. Selling the business in 2004, Denise then moved into small scale property development. After enduring miserable experiences with estate agents, she soon decided that this traditional, highly-competitive sector, would benefit from some Deming thinking. In April 2006, she opened the doors of the aptly named smilesallround. More recently, Denise can be found out and about inspiring others to be brilliant at business, marketing and customer service with two years as a Director of Welcometraining. In July this year, she joined Archbishop Dr. John Sentamu and others speaking on Ethics in Business as part of the York Fairness Commission. Jeremy kicked off NET2’s expansion into the North East of England in 2010 repeating for us a superb session he’d previously delivered in Yorkshire. He originally trained as a mechanical engineer, and worked in manufacturing before ‘discovering’ Alfie Kohn and Dr. W.E. Deming whilst studying in Bradford in the early nineties. Subsequently, he worked to put systems ideas into practice in financial services in a variety of operational management, project management and improvement roles. Jeremy began working with Vanguard in 2002 and has helped organisations in a huge variety of public and private sector settings to change their thinking about the design and management of work. He’s Vanguard’s Public Sector Expert, with extensive knowledge of many different public sector organisations and systems, but as one participant said of his earlier visit to NET2, his insights are ‘relevant to all businesses’. He lives in Leeds, where most of his spare time is spent entertaining his wife and four children. John is no stranger to NET2, having delivered several excellent, stimulating and thought provoking sessions for us. 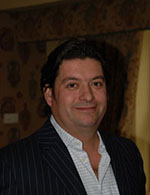 He chairs the Deming Alliance and is a Visiting Professor at Sheffield Hallam University’s Business School. 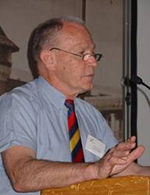 Amongst the long list of organisations that have called on John’s world-renowned expertise on partnering during his long career are British Rail, British Nuclear Group, Hong Kong Metro, De Beers and many public bodies in the UK and Australia. His book Beyond Negotiation, co-authored with Bob Parker, was endorsed by Dr. W.E. Deming. John’s message of productive cooperation has been consistently driven home in over fifty articles and papers, and in the major projects he has led in the oil, gas and construction sectors. A Trust he set up on his farm in Queenstown, South Africa, meets the spiritual, social and basic nutritional needs of the poorest HIV-affected people and their families, enabling them to regain a purposeful life. John also finds time to support the England Rugby Union team and, with his wife, saw them lift the William Webb Ellis trophy at the World Cup Final back in 2003. If you haven’t ever been to one of our sessions, you are welcome to come along at no cost. We like people to try us out for size. Otherwise our fee for non members, which includes lunch, is £30 (VAT exempt). Either pay on the day or, if you prefer, we’ll send you an invoice to pay beforehand, just indicate when you sign up. Please register for the session here. If your organisation blocks links like this (some do), just drop us a line. As the day approaches, you can see who else is planning to come here.